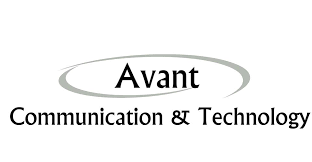 Avant Communication & Technology, a Kentucky-based technology integrator specializing in systems design and installation has signed a reseller agreement with Sonicu. Avant will offer Sonicu wireless technology to its customer base, which includes leading healthcare systems and school corporations in the Greater Cincinnati market. 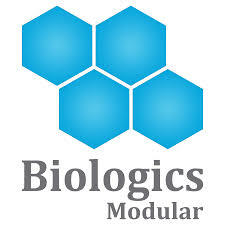 Sonicu is partnering with Biologics Modular to provide modular cleanroom and bio-manufacturing suites equipped with an internal regulatory-compliant monitoring, alarming and reporting system to the pharmaceutical, medical and life-science sectors. Sonicu will provide room conditions monitoring, alarming, logging and reporting for ambient temperature, relative humidity and differential air pressure as well as medical-grade cold storage inside Biologics’ pre-constructed units. Sonicu has added two national sales managers to its national sales team. Paul Arduini and Sean O'Connor joined Sonicu in February and will be part of the existing national sales team led by Vice President of Sales Joe Mundell. Mr. Arduini, a graduate of the University of Arizona, Eller College of Management, with a bachelor's degree in business marketing, will concentrate on the Western United States region. Prior to Sonicu, Mr. Arduini worked for a human capital management company. His sales experience includes business operations, payroll services, human resource solutions, and financial products. Mr. O'Connor will focus on Sonicu's Eastern United States region. He holds a bachelor's degree in management from Indiana University, School of Public Environmental Affairs, and worked for a SaaS cloud-based compliance solutions company prior to joining Sonicu. Mr. O'Connor's sales experience includes policy and procedure and contract management solutions in the healthcare sector. 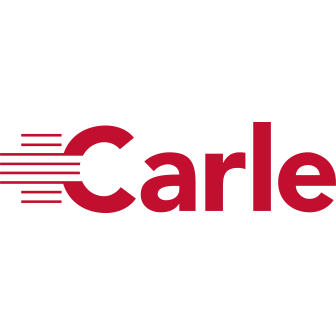 Sonicu will provide sound monitoring for the Carle Foundation Hospital. Located in Urbana, Illinois, the 413-bed regional care hospital has achieved Magnet designation and is owned by the not-for-profit Carle Foundation, which also consists of Carle Physician Group and Health Alliance Medical Plans. It is the area's only level 1 trauma center. With 20 national locations, Faith Technologies is a leader in electrical planning, engineering, design and installation. Sonicu temperature and humidity monitoring are now featured in the company's design features. Sonicu now provides enterprise-wide humidity, temperature and air pressure monitoring for Montrose Memorial Hospital, a 75-bed regional medical facility in Southwestern Colorado that offers an extensive range of healthcare services, including cancer, cardiology and intensive care; a family birthing center; daVinci robotic services and more. With more than 400 healthcare professionals and caregivers on staff, the Visiting Nurse Association provides the highest quality of care in a broad range of services to persons of all ages throughout the Omaha and Council Bluffs area. Sonicu is proud to provide temperature and humidity monitoring for VNA server rooms, vaccine refrigerators, clean rooms and pharmacy. In addition to adding and expanding several national-caliber customers during the first quarter of 2018, Sonicu successfully launched its Partner for Life reseller program, which allows service and integrating companies to incorporate Sonicu wireless monitoring into their product and service lines. National reception and participation for the program has been excellent. To learn how your company can increase revenue and strengthen client relationships with Sonicu’s reseller program, download our free program ebook. Sonicu will provide ambient room conditions monitoring at Chicago’s Shirley Ryan Abilitylab, a transitional hospital where practitioners and innovators address complex conditions from spinal cord injury and stroke to traumatic brain injury. PANTHERx has selected Sonicu cold storage and ambient room conditions monitoring. The Pittsburg-based specialty pharmacy serves patients across the country who have rare and devastating illnesses. Animal Health International has added Sonicu ambient room conditions and cold storage monitoring to 10 additional sites since December 2017. The company has over 70 locations including call centers, warehouses and retail facilities throughout the country. Capital Area Pediatrics, operating five practice clinics throughout northern Virginia, and Missouri’s Butler County Health Department have joined the growing number of physicians’ clinics and health departments that use Sonicu vaccine temperature monitoring for protection and safety. Community Health Network’s Community East Hospital will be using Sonicu Sound Management in its new NICU unit, slated to open when construction is completed early next year. 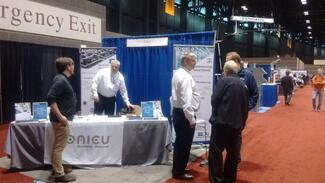 Sonicu wrapped a successful campaign in Chicago at the 2018 AHR Expo where several thousand HVACR professionals descended on McCormick Place for three days of learning and networking. In addition to its wireless temperature monitoring solutions for BASs, Sonicu rolled out its Partner for Life reseller program that garnered a significant amount of attention from businesses looking to expand their product lines and revenues. Sonicu will showcase its Partner for Life program that enables HVACR professionals and building automation enterprises to grow their businesses and add value by including Sonicu temperature monitoring in their product and service offerings. Adding temperature monitoring to sales and service lines adds revenue from hardware sales, service calls and monthly subscription annuities and makes participating partners an indispensable part of their customers' business. For more information, go to: www.sonicu.com/reseller-program. Sonicu continues to expand its national footprint, providing top-tier enterprises in healthcare and facilities management with wireless digital temperature, humidity, pressure and sound monitoring for improved safety, efficiency and profitability. Sonicu has been selected by one of the nation's largest independent medical supply distributors to provide wireless temperature and humidity monitoring at one of its distribution centers. Concordance Healthcare Solutions, with locations from the Carolinas to Arizona and Louisiana to North Dakota, will use Sonicu monitoring for walk-in coolers and facility humidity control at its Sioux Falls, South Dakota, center. Concordance provides medical supplies and equipment to all sectors of the healthcare sector throughout the country. This month, Sonicu rolls out wireless temperature and humidity monitoring at Nyack Hospital in Nyack, New York. A member of the Montefiore Health System, the 375-bed hospital was founded on the banks of the Hudson River in 1895 and is a Joint Commission Gold Seal of Approval holder for hip and knee joint replacement programs, home to the New York State office of Mental Health and maintains several state-designated departments including Area Trauma Center and Stroke Center. Sonicu is proud to monitor and protect blood and medication refrigerators for Indiana University Health's LifeLine critical care transport at several of its locations and pads throughout the state, including Indianapolis, Terre Haute, Lafayette, Columbus and Richmond. 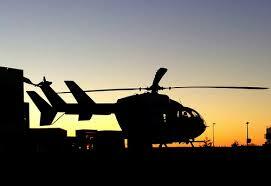 In addition to transporting critical trauma patients, LifeLine specializes in neonatal and pediatrics, cardiovascular, neuroscience and high-risk obstetrics. Sonicu journeyed to beautiful Edmonton, Alberta, Canada, Oct. 22 -24 for the 28th Annual NIDCAP Federation International NIDCAP Trainers Meeting. Sonicu pioneered sound monitoring for NICUs and is proud to assist NIDCAP continue to be the "voice of the newborn" by being an original corporate sponsor. Sonicu continues to work with thought leaders throughout the country to refine and advance noise monitoring and hospital noise reduction. The Internet of Things blew in off Lake Michigan Oct. 18-19, and Sonicu joined the Windy City confab for the 5th Annual IoT Summit at Chicago's Sheraton Grand where herds of uber techies and IoT leaders converged. In addition to wireless temperature monitoring, Sonicu has an IoT solution that monitors virtually any application and bridges enterprises seamlessly to the IoT and smart machine-to-machine technology. Sonicu's wireless temperature monitoring, with its ability to easily monitor, alarm and protect multiple locations with a single platform, has been selected by American Health Network to begin monitoring its clinics and refrigerators. 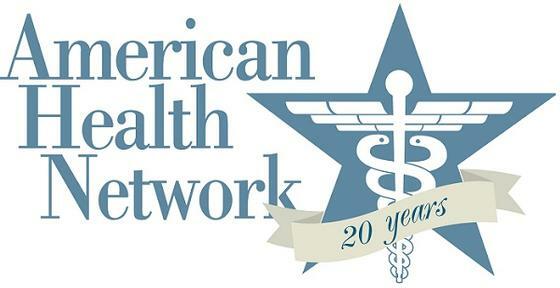 Sonicu will initially begin protecting vaccines and drug refrigerators at one of AHN's Express Care Clinics in Avon, Indiana. AHN currently employs over 1,600 medical professionals in 70 medical practices throughout Indiana and Ohio. Sonicu's completely scalable platform will allow AHN to easily expand to other applications and locations as its needs grow. The 54th American Society for Healthcare Engineering (ASHE) Annual Conference & Technical Exhibition came to Indianapolis August 6-9. The aptly-named "Full Throttle" conference took over the Indiana Convention Center for three days of cutting-edge seminars and exhibits on optimizing the healthcare environment. Sonicu highlighted its state-of-the-art Sound Management Program that is currently improving patient experience and HCAHPS scores at leading national healthcare organizations. Many of those same enterprises and others across the country also use Sonicu wireless temperature monitoring, which fully automates monitoring, logging and reporting for all healthcare and regulatory applications. Sonicu continues its national expansion, providing top-tier enterprises in healthcare and facilities management with wireless digital temperature, humidity and sound monitoring for improved safety, efficiency and profitability. Phase 1 of Sonicu's temperature monitoring program is now underway at Indiana University Health's Methodist Hospital in Indianapolis. Sonicu will provide temperature monitoring for Methodist's medical refrigerators while implementing a wireless network there. IU Methodist is home to the country's largest neuroscience critical care unit and has nationally ranked and recognized organ transplant, orthopedic and urology services and departments. Sonicu is already at work monitoring and protecting at IU Health's Riley Hospital for Children, University Hospital and other IU Health facilities. Morris & Dickson Co. LLC has been providing distribution and support services to the health and pharmaceutical sectors since 1841. Storer Services, one of the country's preeminent building and facilities support companies, is bringing a second Morris & Dickson warehouse online with Sonicu wireless monitoring to track temperature and humidity levels. An initial Sonicu implementation on a large Morris & Dickson warehouse retrofit by Storer was so successful that the Shreveport, Louisiana, company opted to install another wireless temperature and humidity monitoring solution for additional asset protection, increasing Sonicu's coverage to hundreds of monitoring points. Morris & Dickson provides state-of-the-art equipment, procedures and products for the pharmaceutical industry with independent pharmacy support, inventory management and specialized care support for correctional institutions, and specialty healthcare enterprises. Sonicu customers are now enjoying the latest updates to their Sonicumonitoring.com dashboards that include easier navigation, improved user experience and refined alarm notification. The upgrades were released last week and are fully operational. Active, unacknowledged alarms are now prominently displayed in the Area Menu of customers' dashboards for faster navigation to critical information and reduced response time. Administrator ability to quickly determine where account activation and logins are required. Numerous "bug fixes" and updates to improve the user experience and refine the look and feel of Sonicumonitoring.com. Alarm notifications continue to be highlighted on floor plan view and in "pop-up notifications, and users can still review recent activity for a specific monitor by clicking the device icon on the floor plan view. In an effort to improve patient care and provide a quieter, healing environment, UPMC (University of Pittsburgh Medical Center) Shadyside Hospital staff conducted a real-world study and analysis of noise levels and care delivery practices utilizing Sonicu’s Sound Management Program to monitor hallways and patient rooms. Sonicu wireless Sound Indicating Meters and cloud-based software program provided empirical data that allowed hospital leaders to modify rounding processes, increase patient sleep cycles and improve satisfaction scores by 5 percent in a calendar year. Download and read the results of the UPMC effort here. Sonicu continued its hospital noise reduction and temperature monitoring program expansion to leading healthcare institutions during the second quarter of 2017. Community Health Network, consistently ranked among the country's most integrated healthcare systems with more than 200 care and affiliate sites throughout Central Indiana, will be installing Sonicu's Sound Management Program in each of its 36 private NICU suites at Community North Hospital. Sonicu wireless sound meters and cloud-based software and reporting platform will provide a comprehensive sound management program to monitor noise inside the large, developmentally-friendly suites designed for advanced care and parental bonding. Noise from conversations and alarms originating from inside private NICU rooms is as detrimental to prenates as that from external sources. With Sonicu monitoring for interior noise levels, CHN will know exactly when and where troublesome, unwanted noise is disturbing the newborns. Things have been pretty busy with several significant national healthcare clients choosing Sonicu for wireless temperature monitoring and hospital noise reduction to improve safety and patient experience, increase efficiency and strengthen the bottom line. Indiana University Health, one of the nation’s busiest hospital systems, has added and expanded Sonicu remote temperature and sound monitoring to several of its hospitals, pharmacies, clinics and surgical centers. The Division of Neonatology at the University of Illinois at Chicago, a Regional Center of Excellence for neonatal care, will be deploying a Sonicu Sound Monitoring Program in its 54-bed NICU. Saint Alphonsus Health System, headquartered in Boise, Idaho, is equipping its NICU with Sonicu sound monitoring to protect premature infants and create a healing environment. Purdue University in Lafayette, Indiana, Xeno Diagnostics, Cryopoint and MiraVista Diagnostics, all of Indianapolis, are utilizing Sonicu digital temperature, ULT and cryogenic sensors in their research, diagnostic and bio-repository operations. Sonicu temperature monitoring systems meet the high demands of the ULT, cryogenic and research sectors while maintaining full regulatory compliance. Louisiana-based Storer Services, a national leader in building automation and facility management, selected Sonicu to provide temperature and humidity monitoring for a major warehouse retrofit. Sonicu wireless monitoring does not have to be hard-wired into the structure, greatly reducing time, labor and hardware costs. FALLS CHURCH, VA. - Inova Health System, a not-for-profit health care system serving more than 2 million people annually in Northern Virginia and the Washington D.C., metro area, has selected Sonicu temperature monitoring for practice clinics in Merriville and Alexandria, Virginia. Sonicu will provide state-of-the-art glycol-buffered probes to monitor temperatures in medical refrigerators that hold vaccines and other pharmaceuticals. Temperature data reported there is transmitted to Sonicu's cloud-based software platform that provides 24/7/365 alarming, logging and data reporting that conforms to all state and federal regulatory reporting formats, including Vaccines for Children. Inova provides area residents with a full array of medical services, including a Level 1 Trauma Center, Level IV neonatal intensive care unit, and several institutes and research facilities. OCALA, Fla. - Animal Health International, which has been serving the animal industry for over 40 years, has added Sonicu wireless temperature monitoring to two additional shipping and retail centers in its Florida operation. AHI facilities in Mayo and Ocala are among seven locations now utilizing Sonicu remote temperature monitoring to automatically monitor, alarm and log ambient temperature data as well as walk-in coolers to protect animal pharmaceuticals and other valuable inventory. Sonicu temperature monitoring is also at work at AHI locations in Texas, Montana and Nebraska. AHI represents over 1,000 manufacturers and boasts a product catalog ranging from vaccines and pharmaceuticals to equipment and software for companion animals, horses, beef and dairy cattle, poultry and swine. The company has over 70 locations including call centers, warehouses and retail facilities throughout the country. SELLERSBURG, Ind. - Maple Manor Christian Home, a full-service retirement and skilled nursing home certified by the Indiana Department of Health, has selected Sonicu wireless temperature monitoring to protect prescriptions, medications and food at its Sellersburg facility. Maple Manor has been providing compassionate, affectionate and enthusiastic care for its residents since 1973. The 57-bed certified facility offers a full range of services, including physical, occupational and speech therapy and is fully staffed under the guidance of a medical director. For more information visit Sonicu online at www.sonicu.com or call Joe Mundell, Sonicu vice president of sales, at (317) 586-4808. NOBLESVILLE, Ind. - Sonicu remote temperature monitoring has been selected by the Hamilton County Health Department as the system of choice to monitor vaccine refrigerators. Located in Noblesville, the department serves some 275,000 county residents and provides a full compliment of vaccines for children and adults, including all vaccines recommended by the Centers for Disease Control and Prevention and the Advisory Council on Immunization Practices. Sonicu's wireless temperature sensors and SoniCloud SMART software platform will not only protect expensive vaccines and residents from the consequences of equipment failure or power outage, it will allow the department to streamline its efficiencies by automatically logging and storing all temperature data to conform to regulatory reporting and auditing requirements. The platform will also enable staff to troubleshoot and identify problem areas ahead of a catastrophic loss. Hamilton County's health department now joins those of Johnson and Madison counties in Indiana to protect their vaccines and residents with Sonicu remote temperature monitoring. Hamilton County is the fastest-growing county in Indiana and one of the fastest growing in the country. In 2008, Hamilton County was named as America's Best Place to Raise a Family by Forbes.com due to it's strong economy, affordable living and top-ranked schools. GREELEY, Colo. - Sonicu wireless temperature monitoring and sensors are following, measuring and logging temperatures for Animal Health International to protect animal vaccines and health care products. AHI represents over 1,000 manufacturers and boasts a product catalog ranging from vaccines and pharmaceuticals to equipment and software for companion animals, horses, beef and dairy cattle, poultry and swine. The company has over 70 locations including call centers, warehouses and retail facilities throughout the country and has been serving the animal industry for more than 40 years. Sonicu remote temperature monitors are in service at AHI warehouse and shipping facilities in Roanoke, Texas, and Great Falls, Montana, monitoring ambient temperatures and walk-in coolers. Sonicu's wireless temperature monitoring is also being used at the company's retail outlets in Billings, Montana, and Columbus, Nebraska. Sonicu's cloud-based software program offering SMART management tools also allows AHI to download archived information into custom-made reports to meet USDA regulatory compliance requirements. WASHINGTON - Sonicu has been chosen by the U.S. Department of Defense to provide wireless sound level meters and monitoring for neonatal intensive care units at two the Army's leading hospitals. Sonicu's pioneering work in NICU sound monitoring and management has been installed at the Brooke Army Medical Center in San Antonio, the DoD's largest in-patient hospital and one of 10 separate organizations comprising the San Antonio Military Medical Center at Fort Sam Houston, Texas. BAM boasts a 26-bed, state-of-the-art, Level III NICU the DoD says is the largest and most versatile Joint-Service NICU in the department. In addition to providing comprehensive care for preemies, BAM's NICU is considered to be included in the top 10 percent of nationally-ranked neonatal and perinatal medicine training programs. In Honolulu, Sonicu sound level meters and monitoring will help provide a healing environment at Tripler Army Medical Center's NICU, which was opened in 2013 as the DoD's first-ever single-family neonatal intensive care unit. The 22-bed unit has 19 single-family rooms and relies heavily on noise-reduction and sound-proofing technology with a singular emphasis on noise monitoring to help newborns develop. Tripler is also installing Sonicu sound monitoring solutions in its ICU/Progressive Care unit. TAM is the largest Army medical treatment facility in the Pacific Basin. INDIANAPOLIS, Ind. - Sonicu, a leader in automated, remote temperature monitoring systems, will monitor ultra-low temperature freezers and cryogenic tanks for cutting-edge contract research organization Xeno Diagnostics, LLC, based in Indianapolis, Indiana. Established in 2007, Xeno provides cell-based assays to evaluate emerging technologies ranging from implantable tissues and biosynthetic materials to test compounds designed to fight cancer, virii and other diseases for academia, industry and biomedical tech startups. In many cases, Xeno specimens and compounds need to be refrigerated or frozen to close tolerances in order to prevent overgrowth of bacterial contaminants. Xeno is an accredited, high-complexity laboratory that conforms to CLIA (Clinical Laboratory Improvement Amendments) standards, which are federal regulations applicable to all U.S. facilities or sites that test human specimens for for health assessment in the diagnosis, prevention or treatment of disease. Sonicu's wireless temperature sensors will automatically monitor, measure and record ULT freezer and cryogenic tank temperatures, archive all data on its cloud-based software platform and provide instant 24/7/365 alarming for equipment failures or temperature deviations. Sonicu will also monitor ambient conditions in the areas where the freezers and tanks are located. "These units are critical to Xeno's operations," said Sonicu Vice President of Sales Joe Mundell. "They wanted to automate their manual (temperature) logging process and ensure that proper temperatures are maintained during non-staffed hours." MEMPHIS, Tenn. - University of Tennessee Health Science Center in Memphis will begin to use Sonicu wireless sound level meters to measure sound on two levels at Le Bonheur Children's Hospital's NICU. Prior to implementing Sonicu's sound level meters, the 60-bed neonatal intensive care unit had no way to measure and track NICU noise levels. Once the 34 sound meters are in place, however, NICU staff will be able to measure and monitor ambient noise levels as well as those at the incubator level. The neonatal intensive care unit at UTHSC's Le Bonheur Children's Hospital provides Level IV care to neonates and is ranked by U.S. News & World Report among the top children's neonatology programs in the country. FT. WORTH, Texas - Sonicu is shipping over 60 of its patented wireless sound indicating meters to Baylor Scott & White All Saints Medical Center in Ft. Worth, Texas, where they will help create a healing environment throughout the center’s NICU. The 63-bed, Level III NICU in the center's Andrews Women's Hospital is among the largest neonatal intensive care units in Tarrant County, which is dominated by the Greater Ft. Worth/Arlington metro area. Baylor All Saints will install 22 Sonicu wireless sound meters equipped with onboard microphones and 41 wireless meters that will utilize external mics. Sound levels will be monitored throughout the NICU and the information transmitted over a Verizon Cellular network to SoniCloud, Sonicu’s cloud-based software. The fully scalable and customizable software platform will provide NICU mangers and staff 24/7/365 SMART Alarming to any location and SMART Advanced Management Tools, enabling them to set and meet sound targets with the help of Sonicu’s STAR (Sound Target Achievement Report) reporting system. Baylor Scott & White – Ft. Worth provides medical care in almost 20 specialties, including an extensive transplant program. The institution has been recognized by U.S. News & World Report as “high performing in heart failure” as part of the 2015-2016 “Best Hospitals for Common Care” Standards. CULVER CITY, Cal. – What’s the fusion of a world-class chef, an Indiana wireless temperature monitoring company and a rapper/record producer/media mogul/entrepreneur from a little town called Compton? Food service with an attitude that’s never left ignored. When Beats by Dre, the music software and hardware company built by Andre Rommelle Young (aka Dr. Dre), moved into its new $39 million, 105,000-square-foot Culver City campus, someone had to feed the 600 or so employees and corporate guests that work and visit the crib on a daily basis. Solid headphones do little to drown out a rumbling stomach. Enter Wolfgang Puck and his catering division, which also happens to provide transcendent eats for places like the Georgia Aquarium, Boston’s Institute of Contemporary Art and Universal Studios Hollywood, to keep The Doctor and his Beats crew nourished. The sensors constantly monitor, measure and log Puck’s refrigerator temperatures, ensuring all is fresh, tasty and everything the Good Doctor could ask for. Sonicu’s wireless temperature monitoring makes it easy for Dre to comply with health department regulations, especially reporting requirements. All the Doctor has to do is push a button to download a fully archived report. Not that he, personally, knows where the button is. There was a small buyout deal with Apple to negotiate, but that prescription is fairly straightforward for the Doc: Fork over a quadrillion bucks and call me in the morning. FRANKLIN, Ind. - The Johnson County Health Department in Franklin, Ind., has signed Sonicu to provide an automated, wireless temperature monitoring system for multiple cold storage units used in the department's Vaccine For Children program. Sonicu's VFC-approved digital sensors and cloud-based software platform will provide the department with real-time temperature monitoring, instant SMART alarming for temperature excursions, and Advance Management Tools to simplify regulatory compliance and reporting. Sonicu's system will advance JCHD to the Internet of Things by replacing the department's outdated chart recorder wheels and data loggers that manually downloading to acquire and organize temperature data. The VFC program is a federally funded program that provides no-cost vaccines to children in jeopardy of not receiving them due to financial hardship. The vaccines, which protect babies, children and adolescents from 16 different diseases, are purchased at a discount by the Centers for Disease Control and Prevention and distributed to state health departments that pass the vaccines on to participating VFC providers such as local physicians' offices, public health clinics and community health centers. GREENFIELD, Ind. – Hancock Regional Hospital, a regional, full-service hospital based in Greenfield, Ind., has signed a system-wide enterprise license with Sonicu that allows HRH to consolidate its existing Sonicu monitoring platforms under one agreement. Though HRH has been using Sonicu’s automated monitoring, logging, SMART alarming and Advanced Management Tools in a variety of departments and applications, the new agreement allows the hospital to to leverage opportunities of scale for further expansion and hardware purchasing. Sonicu currently monitors temperature and humidity at Hancock Surgery Center, in refrigerators and cold storage units throughout the hospital, including the hospital pharmacy and new Sue Ann Wortman Cancer Care Center, and vaccine storage units at Hancock Physician Network off-site clinics. Sonicu also monitors MRI/imaging department power supplies at Hancock Health Center in McCordsville and will soon expand to monitor sound in hospital patient areas. By automatically sending data to a cloud-based software platform, HRH can reclaim hours of employee time previously spent on manual hand monitoring and logging and view data in real time or in customizable reports. Hancock Regional Hospital joins Hendricks Regional Health as the second Suburban Health organization to sign an enterprise-wide agreement with Sonicu. DANVILLE, Ind. – Sonicu, an industry leader in the wireless temperature monitoring systems and cloud-based software, has been chosen by Hendricks Regional Health to provide a system-wide environmental monitoring system to increase patient safety and satisfaction. Sonicu will install wireless sensor technology at 700 points within the Hendricks health system, including remote outpatient facilities and clinics, to monitor and measure temperature, air pressure differential, and humidity in a variety of health care applications. The system will also monitor sound levels in multiple patient care areas. Sonicu sensors will remotely monitor hundreds of refrigeration units; pharmacy, food service and dining applications; and sound levels utilizing a cellular network to transmit the data to Sonicu’s cloud-based software platform. The system will provide 24/7/365 SMART alarming and data access in a fully scalable format that will eliminate manual data logging at all monitored points. In addition to Sonicu’s remote wireless sensors and cloud-based data platform, the cellular network Sonicu employs to mesh data from Hendricks’ outlying campuses and facilities also made Sonicu the right choice. “By deploying everything through a cellular gateway, we are able to stay completely off of their network, erasing all security issues and eliminating additional work for their IT personnel,” Mundell said. Hendricks officials said effectiveness and efficiency drove the decision to Sonicu’s system. The company plans to begin implementing the system in February, Mundell said. CULVER CITY, Cal. - Sonicu wireless temperature sensors and monitoring are working behind the scenes at two of the nation's iconic sports venues. World renowned hospitality company Legends, which maintains a who's-who list of professional, collegiate and international clients ranging from Yankee Stadium to Manchester City Football Club, has installed Sonicu wireless temperature monitoring in its hospitality food service refrigerators and walk-in freezers at the Rose Bowl in Pasadena and Angel Stadium in Anaheim. In 2013, Legends signed to operate Angel Stadium's hospitality program and redefine the team's guest experience, which included redesigning six of the stadium's major concession stands for 2014. As part of that effort and upgrade, Sonicu was asked to provide a remote temperature monitoring system that provided 24/7/365 monitoring and alarming for concession stand cool storage. 2014 also saw Legends partner with Wolfgang Puck Catering to operate the Rose Bowl's premium hospitality program, and once again Sonicu was tapped to provide wireless temperature sensors and monitoring to keep food inventory fresh and safe. GREENFIELD, Ind. – Sonicu, an industry leader in neonatal intensive care unit sound level monitoring, once again takes a leading role in NICU advances by supporting NIDCAP Federation International as the organization’s first corporate sponsor. 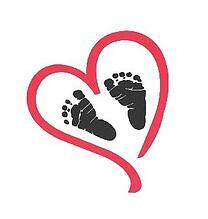 Sonicu pioneered NICU sound monitoring in 2008 at St. Vincent Hospital in Indianapolis, Ind. Since that time, the company has been refining and expanding its healthcare capabilities to create a safe healing environment for newborns needing intensive and specialized care. NFI has been promoting the philosophy and science of NIDCAP (Newborn Individualized Care and Assessment Program) for nearly 30 years. As worldwide preterm births increase, NIDCAP focuses on individualized care that supports development, minimizes stress, and utilizes a relationship-based, family-integrated approach. “The NIDCAP Federation International is pleased to welcome SONICU as our first corporate sponsor,” said Dr. Deborah Buehler, NFI vice president for organizational advancement. “SONICU’s support will help us raise global awareness of the need for NIDCAP care and will enhance opportunities to develop educational programs to broaden the reach of this care to more and more NICU professionals and the ‘preterm families’ they serve,” Buehler said. “Together we will share the privilege to be the Voice of the Newborn,” she said. For more information visit Sonicu online at www.sonicu.com or call Sonicu CEO Nick Tuttle at (317) 468-2353. 2/21/2019 - ISHE Neurodiagnostic Inst./Community East, Indianapolis, IN. 3/14/2019 - ISHE St. Vincent, Indianapolis, IN. 4/11/2019 - ISHE Riverview Health, Noblesville, IN. 5/2-3/2019 - ISHE Spring Conference, French Lick, IN. Sonicu partners with Biologics Modular to provide ambient room conditions monitoring for modular cleanrooms, laboratories, clinics and more. Sonicu signs as NIDCAP's first corporate alliance partner. Hendricks Regional Health signs health care enterprise agreement with Sonicu. Hancock Regional Hospital consolidates system-wide monitoring with Sonicu enterprise.